Category Archives for "Positive Daily Rituals"
Imagine Being Able to Over-Ride Your Analytical & Critical Mind! Are you a bucket filler or dipper? Feeling stressed and craving inner peace? to a Happier, Positive & Empowered You! The ‘Positive Daily Rituals’ and Reminders in this 8-Week Challenge will empower you to transform the way you think and feel, improve your zest for life, along with your confidence and drive to create the life and future you want and love on every level! You will have more energy, feel happier, more positive and personally fulfilled, with a deep sense of inner peace and improved health and well-being while alleviating depression, stress & anxiety. In 2011, I suffered from Post-Traumatic Stress Disorder, where I spiralled into a deep depression with severe anxiety, stress, panic attacks & phobias for up to 12 months. This not only sucked the joy out of my life, it also affected every aspect of it. Including my state of mind, health, relationships and my overall wellbeing on all levels, physically, mentally, emotionally and spiritually…especially my health. The sequence of ‘Positive Daily Rituals’ I’ve put together to create this challenge are what truly helped me transform my life, when I was at my lowest and darkest time. I’ve added an extra one, which I didn’t know about back then, but has made a significant difference in my life now since discovering it and it will for you too! As a mother, we can also sometimes lose our sense of self because we’re so busy looking after everyone else’s wants and needs. In the process, we forget about our own wants and needs on a personal level and how important it is, to also make time to nurture our own body, mind & souls! Remember, it’s ok to make yourself a priority too and you are worthy and deserving to experience what it feels like to find your sense of self and feel peace within. These ‘Positive Daily Rituals’ were the keys to bringing me out of the darkness and into the light again. When practised on a regular basis, these ‘Positive Daily Rituals’ & Reminders will positively transform your life, along with the way you think and feel about yourself, as well as how you view your world! Feel like you can conquer the world and cope with whatever life throws at you? 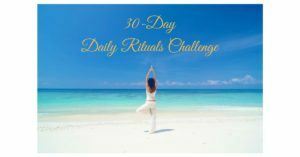 By investing up to one hour of your time each day, to do these ‘Positive Daily Rituals’ and Reminders, in this 8-Week “Positive Daily Rituals” Challenge, I guarantee you will be on your way to positively transforming your life & well-being on all levels. You will alleviate stress & anxiety, increase your energy & vitality, boost your positivity and cope better with whatever life throws at you. They’ll also assist you in maintaining a positive mindset and belief system to live a life you love on all levels, help you to achieve what you want, improve your health and wellbeing, increase your happiness and fulfilment and enrich your life! 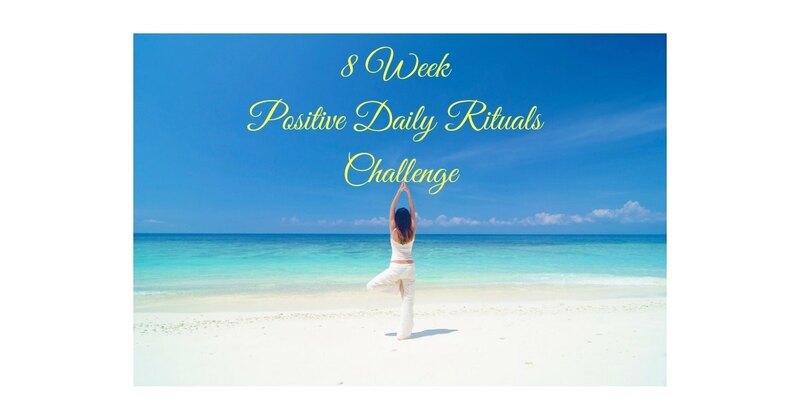 Click on the link below to download your FREE 8-Week 'Positive Daily Rituals' Challenge!